One of the quietest major free agent negotiations in recent memory is coming to an end today. The Mariners and Yusei Kikuchi agreed to a unique four-year contract earlier this week and it’ll be made official today, at some point before his 30-day negotiating period closes at 5pm ET. Kikuchi spent the last few weeks meeting with teams in Los Angeles and there were no leaks or rumors whatsoever. It was very quiet. Kikuchi’s contract is unusual. For all intents and purposes it is a three-year contract, and one of three things can happen after year three. One, the Mariners could exercise a four-year club option to keep Kikuchi. Two, Kikuchi could pick up a one-year player option. Or three, Kikuchi can become a free agent. It has to happen in that order too. The Mariners get to decide on the club option before Kikuchi gets to decide on the player option. The contract structure is unusual but it is not unprecedented. The Phillies signed Jake Arrieta to a similar contract last offseason. Arrieta got what amounted to a two-year contract, and, after year two, the Phillies have a three-year club option and Arrieta has a one-year player option. The common thread: Scott Boras. Both Kikuchi and Arrieta are Boras clients, so that’s now two of these unique contracts he’s brokered. For the player, the contract structure allows him to either test free agency again in the not-too-distant future or force the team to keep him long-term, with the player option serving as an insurance policy. Could Kikuchi have received seven guaranteed years with an opt-out after three? Could Arrieta have gotten five guaranteed years with an opt-out after two? Almost certainly not. This contract structure at least gives them a chance at that long-term commitment. For the team, the contract structure creates flexibility. They can walk away if things aren’t working out or keep the player long-term without the hassle of another free agent bidding war. The Mariners could keep Kikuchi for seven years or they could dump him after four. The Phillies could keep Arrieta for five years or they could dump him after three. I’m not sure I’d call it a win-win, but both sides do seem to come out okay here. Baseball is a copycat sport and nowhere is that more true than in free agency. Opt-outs are now commonplace — they’ve been around a while but it wasn’t until CC Sabathia that they really became popular — and, soon enough, these unique contracts with multi-year club options will catch on around the league. Boras is no dope. Long-term deals are becoming harder to find and he came up with a way to give his clients a chance at those years. Boras represents Bryce Harper and I’ve assumed Harper’s contract would include opt-outs and salary escalators and all sorts of complicating factors. Perhaps it’ll be structured like Kikuchi’s and Arrieta’s. The Yankees have not been connected to Harper much at all this winter, but, at some point, a contract structure like this will find its way onto their payroll. It’s inevitable. We’re going to see more and more contracts like this going forward. A “Dual Option Year” shall mean a championship season covered by a Uniform Player’s Contract in which the amount payable pursuant to paragraph 2 of the Contract becomes due or guaranteed at the election of either the Player or the Club. Salaries under any such Contract shall be calculated as if the Dual Option Year is a Player Option Year. For a mutual option to kick in, both the team and player have to exercise their part of the option. For a dual option, only one side has to exercise their option. The Mariners could lock in the fourth year of Kikuchi’s contract by exercising the four-year club option. Kikuchi could lock in the fourth year with his player option. Only one needs to happen. Not both. Got it? Good. A Player Option Year shall be considered a “Guaranteed Year” if, pursuant to the Player’s right to elect or subject to his right to nullify, the terms of that year are guaranteed within the definition in Section A(8); provided, however, that a Player Option Year shall not be considered a Guaranteed Year if the payment the Player is to receive if he declines to exercise his option or nullifies the championship season is more than 50% of the Base Salary payable for that championship season. In English, that means the player option year is considered a guaranteed contract year for luxury tax purposes as long as the buyout is less than 50% of the money the player is walking away from. That’s why the 2021-27 seasons of Giancarlo Stanton’s contract are considered guaranteed years for luxury tax purposes. The buyout ($0) is less than 50% of what he’d leave on the table, so they count in full. During the first three years of Arrieta’s contract, his luxury tax hit is $25M ($30M + $25M + $20M divided by three years). The 2020 dual option year is treated as a player option year and is considered guaranteed because the buyout is less than 50% of the salary. If Arrieta exercises his player option, his 2020 luxury tax hit is unchanged. But, as I understand it, if the Phillies exercise their three-year club option, his luxury tax hit in 2020 gets recalculated and becomes $20M (the first year of $60M divided by three years), so the team gets away with $115M in real salary only counting as $110M against the luxury tax ($25M + $25M + $20M + $20M + $20M across five years). Hey, every little bit counts. In Arrieta’s case, the club option would lead to luxury tax savings down the road because the option year salaries are lower than the guaranteed year salaries. In Kikuchi’s case, the club option would lead to a luxury tax increase down the road because the option year salaries (reportedly $16.5M annually) are higher than the guaranteed year salaries (reportedly $14M annually). This can work both ways. You can manipulate these multi-year club options into a lower luxury tax hit now or later. MLB will flag anything that appears to be blatant luxury tax circumvention, so you can only push this so far. All we did was take $5M from 2018 and $5M in 2019 and convert it into a $10M buyout for the 2020 player option. Since the buyout is at least 50% of the total value of the player option, it does not count as a guaranteed year now. The money counts! But the year does not. Arrieta’s luxury tax hit goes from $25M (the original $30M + $25M + $20M across three years) to $27.5M ($25M + $20M + $10M across two years). For the team, losing the guaranteed year for luxury tax purposes hurts more than reducing the salary that is considered guaranteed for luxury tax purposes helps. There’s also this: What if Arrieta picks up the player option in this scenario? Under his current deal, he’d get $75M across three years ($30M + $25M + $20M). Under our restructured deal above, he’d only get $65M across three years ($25M + $20M + $20M). The buyout goes away. The only way Arrieta doesn’t lose money with the restructured contract is if the team declines the club option and he declines the player option, and what are the chances of that? The CBA is pretty airtight. The 50% thing doesn’t help the team any with their luxury tax situation. Alright, so what does this have to do with the Yankees? That was all a very long way of saying there is a new contract trend in baseball, and eventually it will hit the Yankees. There is some luxury tax wiggle room here but not much, which applies to every contract, really. This contract structure doesn’t really result in significant luxury tax savings but it is a potential avenue to acquire talent. Again, Bryce Harper is a Boras client, and Boras is the mastermind behind these new contracts. It may be only a matter of weeks until we seen another deal like this. For now, these contracts are just a new way of doing business, and they don’t have an immediate impact on the Yankees. Not unless they trade for Kikuchi or Arrieta. At some point though, the time will come for the Yankees to negotiate a deal like this, and perhaps they’ll find a way to make it work to their advantage with regards to the luxury tax. Trading increased flexibility for having to make a decision about the player’s long-term future with your organization sooner than you’d probably like will become the new normal, and eventually the Yankees will get hooked in. Spring Training is rapidly approaching. Not rapidly enough, but exactly six weeks from today pitchers and catchers will report to Tampa to begin the long journey that is the 2019 season. I can’t wait. I enjoyed the early offseason downtime and am now really starting to miss baseball. Only six weeks (and a lot of free agent signings) to go until camp begins. Anyway, here are some scattered thoughts. 1. It feels like Manny Machado is holding up the offseason right now, doesn’t it? He’s expected to make his decision at some point soon, maybe even by the end of the week. Once Machado picks a team Bryce Harper’s free agency will begin in earnest, and the teams that miss out on Machado will look for other ways to improve. The Phillies, for example, could pivot to Harper should they miss out on Machado, or they could spread the money around and sign Dallas Keuchel, Craig Kimbrel, and others. The Yankees haven’t done anything notable since re-signing J.A. Happ and that suggests they are waiting for Machado to make a decision before moving on to other matters. Signing Machado would push the Yankees over the $206M luxury tax threshold, perhaps even into the second luxury tax tier, at which point one of two things will happen. One, they’ll scale back on spending (or even look to unload salary) to reduce the luxury tax burden, or two, they’ll say screw it, we’re already over the luxury tax threshold, so we might as well go bonkers. In that case, they could go after two high-end relievers and try to woo them with higher salaries on short-term contracts to reduce the luxury tax burden in future years. We’ll see. For now, it feels like all of baseball is waiting for Machado to pick a team, and once he does that, the rest of the offseason will begin. 2. I have no problem at all with the Troy Tulowitzki signing. Since the Yankees only have to pay him the league minimum, the only risk is that he plays terribly and costs the Yankees some runs on the field, which is a risk that exists with every free agent, low cost or otherwise. (What, you don’t think Freddy Galvis or Jose Iglesias could do that?) There’s zero chance Tulowitzki will stand in the way of a potential Machado signing and there’s no way he makes it more likely the Yankees will trade Miguel Andujar. “We signed this 34-year-old reclamation project who hasn’t played in 18 months, so now we can afford to trade the 23-year-old reigning Rookie of the Year runner-up,” is not a thought process that happens in a Major League front office. The players most affected by this signing are Tyler Wade and Hanser Alberto. The depth guys. If the Yankees do end up playing Tulowitzki on an everyday basis while Didi Gregorius is out — that assumes Tulowitzki makes it through Spring Training in one piece, which is far from certain — my preference would be Gleyber Torres at short and Tulowitzki at second. I think that’s the best defensive alignment. Then again, Tulowitzki has never played second, so he might actually be worse there than at short between diminished skills and inexperience. I dunno. I’d just prefer Gleyber at short. Tulowitzki strikes me as one of those signings people will complain about in January (because people complain about every transaction) only to complain again during the season when the Yankees aren’t giving him enough playing time after he hit that big home run or something. 3. I don’t expect it to happen but I would be cool with the Yankees carrying Sonny Gray into Spring Training and the regular season. I say that as someone who’s been a Gray fan for a while, so take it with a grain of salt. He was awful last year, no doubt about it. I also feel like it will be close to impossible to find someone as talented as Gray to serve as the sixth starter/swingman. You know the Yankees are going to need a sixth starter at some point this coming season. A sixth, seventh, and probably even an eighth starter. That’s baseball. Pitchers get hurt. I’d feel better about plugging Gray into the rotation to cover for the inevitable injury that I would Luis Cessa or Domingo German. Plus, with the way Brian Cashman has been dumping on him these last few weeks, I imagine Gray will be pitching with a big chip on his shoulder this coming year, no matter what uniform he’s wearing. I do think the Yankees and Gray are beyond the point of no return. I expect him to be traded. I’m just saying that I don’t want to the Yankees to force a trade and move him for pennies on the dollar just for the sake of moving him. Keeping him as a sixth starter/swingman is perfectly reasonable to me. There’s no such thing as too much pitching depth. I mean, what are the chances the Yankees trade Gray, then at some point at midseason we’re all wishing they’d held onto him? Pretty darn good, I think. Like I said though, I think Sonny’s a goner. There’s are too many signs pointing to a trade. 4. I think we’ve reached the point where J.T. Realmuto is overrated. I mean, he’s obviously very good. Catchers who hit .277/.340/.484 (126 wRC+) are very hard to find. FanGraphs had Realmuto at +4.8 WAR last season and Baseball Reference had him at +4.3 WAR. Baseball Prospectus had him at +4.3 WARP, and that includes pitch-framing. (fWAR and bWAR do not include framing.) That’s really good! But also, when a guy with a 126 wRC+ and +4-ish WAR is considered the best player at a position, it says more about the position that it does his greatness. Catchers stink right now. All around the league. If you didn’t know any better, you’d think Realmuto is peak Buster Posey with the way he’s been talked about this offseason. He’s been involved in so many trade rumors these last few weeks — especially during the Winter Meetings, when seemingly every hour it was something new — and, when that happens, a player’s value gets inflated. Realmuto’s really good. He’s also getting overrated and is probably the worst “best catcher in baseball” we’ve seen since before Mike Piazza. Gary Sanchez is two years younger than Realmuto and he’s a year removed from a .278/.345/.531 (129 wRC+) batting line and +4.8 WARP. Given the state of catching around baseball, I’ll happily hitch my wagon to Sanchez going forward, thank you very much. 5. A few weeks ago I wrote about potential under-the-radar bullpen targets using spin rates and swing-and-miss rates, and Cody Allen was among the names my search spit out. As Dom noted, Allen was terrible last season. He threw 67 innings with a 27.7% strikeout rate and set new career worsts in ERA (4.70), FIP (4.56 FIP), walk rate (11.4%), ground ball rate (30.0%), and home run rate (1.48 HR/9). Allen was terrible last year. That said, he just turned 30, so it’s not like he’s over the hill, and he is a year removed from a 2.94 ERA (3.19 FIP) with very good strikeout (32.6%) and walk (7.4%) rates. The spin rates and whiff rates check in as comfortably above-average too, even during last season. Squint your eyes and there’s some bounceback potential here. Allen’s been pitching in high-leverage situations for a while now — if you’re into this sorta thing, he struck out 24 in 13.2 scoreless postseason innings during Cleveland’s march to Game Seven of the 2016 World Series — so pitching in the late innings wouldn’t be a new experience. He seems like someone who could appeal to the Yankees as a buy-low candidate. My hunch is some team will give Allen a nice little two-year deal and promise him their closer’s role (Angels? Padres? ), so getting him on a one-year “prove yourself” contract may not be possible. Besides, pitchers usually don’t come to Yankee Stadium and the AL East when they’re trying to rebuild value on a short-term contract. I dunno, Allen just strikes me as someone who has more appeal than last year’s numbers may lead to believe. The analytic side of things check out well and point to bounceback potential. The Yankees will play five of the first 18 games of the new season against contending teams. That’s it. The Orioles, Tigers, and Royals aren’t even pretending to be competitive. An easy schedule does not automatically equal wins. We all know that. Who can forget the Yankees losing three of four at home to the eventual 115-loss Orioles last April? Any team can beat any other team on any given night in this game. On paper though, wow do the Yankees have a chance to get off to a great start next season. It would be nice to have other teams playing catch-up in the AL East instead being the team trying to make up ground early in the season, you know? Hopefully the Yankees can take advantage of that easy April schedule, because the rest of the schedule will be that much tougher. Rivera is 22 games over .500. The other four are a combined 33 games under .500. And that makes sense, right? It’s much easier for a closer to get a loss than it is a win. The nature of the job makes it difficult for the closer to get a win. Despite that, Rivera managed to go 82-60 in his career, including 79-57 as a reliever. I’m not really sure where I’m going with this. I just thought it was amazing Rivera managed to finish his career 22 games over .500. It says more about his ability to avoid losses than his ability to rack up wins. Obviously performance-enhancing drugs are not a dealbreaker for me. As long as there is baseball and sports in general, players are going to cheat. That’s just the way it is. I’d like it if they didn’t, but they do, and it’s silly to pretend otherwise. I’m not sure why voters feel keeping players out of the Hall of Fame is an acceptable punishment for PED use (or even PED suspicion) but I don’t agree with it at all. It’s MLB’s job to punish those guys. Not the Hall of Fame’s. Bonds, Clemens, and Manny are easy calls for me. No-brainers. So is Rivera. Halladay, Martinez, Mussina, and Walker were among the very best players of their generation at their positions and they belong in Cooperstown in my opinion. Did you know Walker is fourth among outfielders in WAR since the mound was lowered 50 seasons ago? It’s true. I know there’s the Coors Field question but a) only 31% of his career plate appearances came in Denver, and b) I remember watching Walker and thinking he was a Hall of Fame talent. I am absolutely amazed that, as of this writing, Omar Vizquel has almost twice as many Hall of Fame votes as Rolen. Rolen was every bit as good defensively at third base as Vizquel was at short, and he was a far superior hitter. We’re talking .281/.364/.490 (122 wRC+) vs .272/.336/.352 (83 wRC+). I’m not sure why Vizquel is getting so much more Hall of Fame love. The tenth spot came down to a few different players and I ultimately went with Sheffield. He has a reputation for being a jerk, no doubt about that, but man could he hit. Career .292/.393/.514 (141 wRC+) batting line with 509 homers and, despite that ferocious swing, more walks (13.5%) than strikeouts (10.7%). That will never look out of place in the Hall of Fame. I admit I didn’t put a ton of thought into this hypothetical ballot because, well, it’s hypothetical and I have no real responsibility to be thorough. Not yet. I promise you this much: If the time ever comes and I have a Hall of Fame vote (or even an award vote), I’ll write something explaining my ballot. Every single time. I think the voting process needs more transparency and accountability — for what it’s worth, the BBWAA proposed to make every Hall of Fame ballot public a few years ago, but the Hall of Fame rejected it — and I’ll hold myself to that standard when the time comes. Welcome to 2019. The present day Yankees are looking for bullpen help and a middle infielder to replace the injured Didi Gregorius. The 2013 going on 2014 Yankees were looking for rotation help and a Robinson Cano replacement at this moment five years ago. They went 85-77 the previous year and missed the postseason for the first time since 2008, and it was clear they needed more help to return to October in 2014. At this point of the 2013-14 offseason the Yankees had already made most of their major moves. Brian McCann, Jacoby Ellsbury, and Carlos Beltran had all been signed and both Derek Jeter and Hiroki Kuroda were re-signed. The Yankees still had to figure out second base and they needed to get Kuroda, CC Sabathia, and Ivan Nova some rotation help. On the first day of 2019, it’s time to go back in time five years to January 2014. Here’s the latest edition of our MLB Trade Rumors archives series. More than three weeks after the initial agreement was reached, the Yankees have officially announced their two-year deal with left-hander Matt Thornton. The longtime White Sox hurler will reportedly receive a $7MM guarantee. Thornton is represented by Diamond Sports Management. Man, I’d forgotten Matt Thornton was a Yankee. He had that great stretch with the White Sox from 2008-10 (2.70 ERA and 2.46 FIP) before gradual decline started to set in. Thornton’s surface numbers with the Yankees were pretty good (2.55 ERA and 2.73 FIP in 24.2 innings) but he had some trouble with inherited runners and a few notable meltdowns. The Yankees let him and the $4.5M remaining on his contract go to the Nationals on a straight August trade waiver claim. Salary dumped him. Those multi-year contracts for left-on-left relievers didn’t out well for the Yankees for a while there. The result of Alex Rodriguez‘s appeal is in, and he will be suspended for 162 games, Bob Nightengale of USA Today tweets. Rodriguez plans to appeal the suspension in federal court. The suspension will cover the full 2014 season, and also the postseason, Yahoo! Sports’ Tim Brown tweets. The suspension previously was 211 games. Even though the suspension was reduced, the decision by arbitrator Fredric Horowitz appears to be a victory for Major League Baseball, which won a suspension for A-Rod that goes far beyond those of other first-time PED offenders. What a nightmare this was. The appeal process was ugly — A-Rod did all sorts of radio interviews and bashed the entire process while it was still ongoing (at one point he claimed the Yankees made him play through his hip injury hoping it would end his career) — and eventually his suspension was reduced. He then filed lawsuits against the Yankees, MLB, the MLBPA, and some others. They were later dropped. For a while there though, Rodriguez’s appeal and the fallout was ugly. The ugliest period for the Yankees in a long time. Two weird things about A-Rod’s suspension. 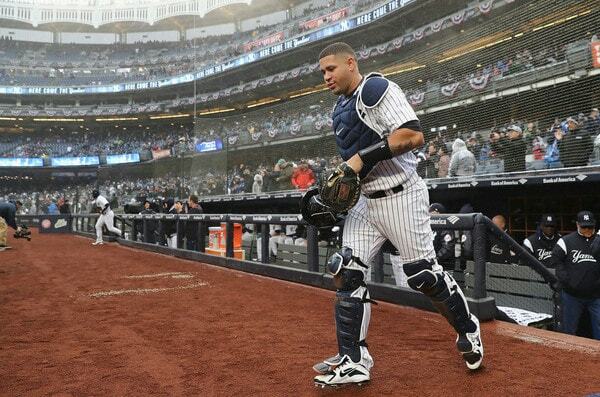 One, the suspension covered 162 games, but the Yankees still had to pay Rodriguez for the team’s 20 off-days in 2014. For real. That amounted to a little more than $3M. And two, A-Rod could’ve still gone to Tampa and been a full participant in Spring Training, which would’ve been a major distraction. Ultimately, he announced he wouldn’t go to camp when he dropped all his lawsuits and whatnot. Imagine though? A-Rod suspended for the regular season but still a regular in Spring Training? That would’ve been a hoot. The Yankees have signed righty reliever Robert Coello to a minor-league deal, Baseball America’s Matt Eddy tweets. Coello, 29, pitched 17 innings for the Angels in 2013, posting a 3.71 ERA with 12.2 K/9 and 4.2 BB/9. Coello hooked on with the Orioles after the Yankees released him, then he spent 2015 in Triple-A with the Giants and Rangers, and 2016 in Korea. He’s been out of baseball since. Thanks to the WTForkball, Coello struck out 39 (and walked 17) in 29 career MLB innings with the Red Sox, Blue Jays, and Angels. Mark Reynolds is unlikely to return to the Yankees, Mark Feinsand of the New York Daily News tweets, citing a source who says the Yanks have only offered the infielder a minor-league deal. “He won’t take that,” Feinsand says. Reynolds was terrible in 2014 and he would’ve been the third best right-handed hitter on the Yankees. Woof. Reynolds is still around though. Dude hit .248/.328/.476 (112 wRC+) with 13 homers as a part-timer for the Nationals this season, and even had a 5-for-5 with 10 RBI game. Twelve years in the big leagues, six homers away from 300 for his career, and nearly $30M in contracts. Not too shabby. 3:50pm: Sizemore has opt-out dates of May 1 and August 1, if he isn’t on the Yankees’ 25-man roster, tweets Joel Sherman of the New York Post. In a second tweet, Sherman reports Sizemore had two Major League offers, but saw more opportunities with the Yankees. 10:55am: The Yankees have agreed to a minor league contract with infielder Scott Sizemore, FOX Sports’ Ken Rosenthal reports (Twitter link). The 2014 Yankees had such a crummy infield that I was on this very website practically begging them to give Sizemore more playing time. He hit .266/.329/.433 (108 wRC+) with Triple-A Scranton that season and went 5-for-16 (.313) in his brief big league stint with the Yankees. Once you’ve begged for Scott Sizemore to get playing time, potentially replacing Didi Gregorius with Tyler Wade or Hanser Alberto doesn’t seem so bad. JAN. 13: After nearly a month, Roberts’ deal with the Yankees is now official, reports Joel Sherman of the New York Post (on Twitter). Roberts will receive Alex Rodriguez‘s 40-man roster spot. … and that was pretty cool. No one picked Roberts up after the Yankees cut him loose and he retired as a career .276/.346/.409 (101 wRC+) hitter with 1,527 hits and +30 WAR. Nice little career he had. Too bad injuries sabotaged his early 30s. Roberts could’ve been up over 2,000 hits otherwise. The Yankees have inquired with the Padres about the possibility of trading for some of San Diego’s infield depth, reports Jon Paul Morosi of FOX Sports (Twitter links). The most realistic target is utilityman Logan Forsythe, according to Morosi. At the time the Padres had Forsythe, Chase Headley, Jedd Gyorko, and Everth Cabrera on the infield. The Yankees eventually acquired Headley and had on-and-off interest in Gyorko and Forsythe over the years. I distinctly remember folks in our comments and on social media first wondering why the Yankees wanted Forsythe (73 wRC+ in 2013), then wondering why the Yankees didn’t get him from San Diego after he broke out with the Rays a year later (125 wRC+ in 2015). Good times. JANUARY 16: The Yankees have released Wells, according to the MLB.com transactions page. 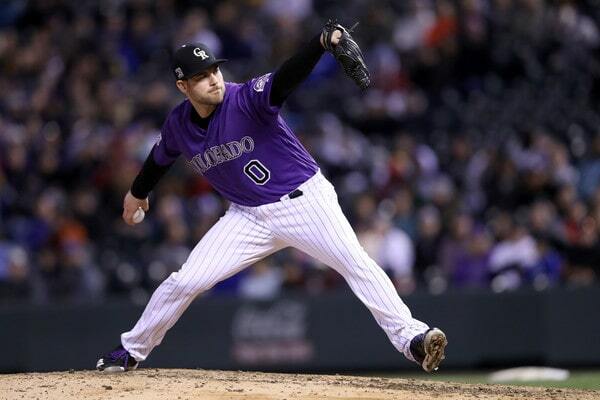 Wells was designated for assignment to clear a 40-man roster spot for Thornton and there as much rejoicing. Wells hit .233/.282/.349 (77 wRC+) with the Yankees in 2013 — that includes a .216/.258/.296 (49 wRC+) batting line after April — and no team signed him after he was cut loose. Probably not a good sign that so many 2013-14 Yankees were immediately shuffled into forced retirement after being released, huh? After months of drama and speculation, the Masahiro Tanaka saga has come to an end. The Yankees today officially announced that they’ve signed the Japanese righty to a seven-year contract that is reportedly worth a massive $155MM. 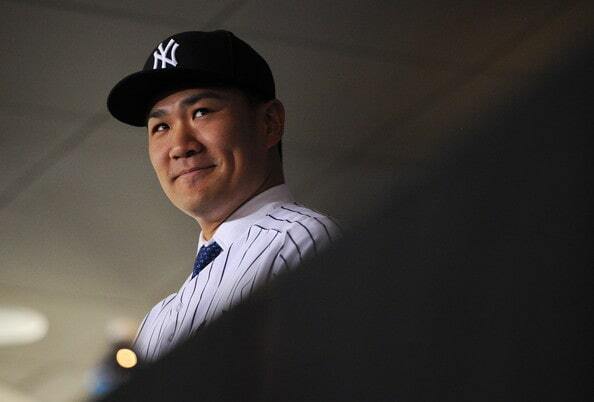 The contract provides Tanaka with an opt-out clause after the fourth season and also contains a full no-trade clause. Tanaka is represented by Excel Sports Management — the same agents that negotiated Clayton Kershaw‘s record-setting extension. It’s easy to forget how young Tanaka was at the time. On the day he officially signed with the Yankees, Tanaka was 131 days older than Luis Severino is today. The Yankees were getting the prime years of a very talented pitcher — a talented pitcher with no MLB track record, but a talented pitcher nonetheless — and, by and large, Tanaka has delivered. In the first five years of his contract he’s pitched to a 3.59 ERA (118 ERA+) and 3.80 FIP with +15.6 WAR in 824.2 innings. Over the last five seasons Tanaka ranks 21st in WAR despite being 34th in innings. And he’s delivered in the postseason too. Imagine where the Yankees would be without him the last few years? In an era when most big money pitching contracts become disasters, Tanaka’s been well worth the money. The Yankees announced that they’ve designated left-hander David Huff for assignment in order to clear a 40-man roster spot for Masahiro Tanaka. Huff somehow had two stints with the Yankees. He threw 34.2 innings with a 4.67 ERA (4.95 FIP) in pinstripes in 2013, was traded to the Giants for cash after this DFA, then was reacquired for cash in June 2014. Huff had a 1.85 ERA (4.00 FIP) in 39 innings in his second stint with the Yankees. David Huff really had a 3.18 ERA (4.45 FIP) in 73.2 innings with New York? Who knew? This past season he had a 4.87 ERA in 94.1 innings for the Yakult Swallows in Japan. David Robertson will be the Yankees’ closer in 2014, Steinbrenner told Sherman and Dan Martin of the New York Post. Cashman wasn’t quite as firm during a media conference, saying that Robertson is “obviously…the odds-on favorite” but not ruling out any further bullpen additions. There have of course been some hiccups along the way — closers always have hiccups, they’re inevitable during a 162-game season — but, by and large, the Yankees have fared pretty well in the ninth inning since Rivera retired. Things aren’t quite as automatic in the postseason and that’s the key difference. There will never be another like Mo in October. 29-year-old righty Chris Leroux has inked a minor league deal with the Yankees, tweets Ben Nicholson-Smith of Sportsnet.ca. The Canadian hurler has 69 2/3 MLB innings under his belt, all in relief, over which he has maintained a 5.56 ERA and 8.1 K/9 against 4.3 BB/9. The Yankees signed Leroux after he allowed 26 runs in 22 innings for the Yakult Swallows in Japan in 2013. He spend most of the 2014 season with Triple-A Scranton (4.94 ERA and 4.25 FIP) but he did manage to find himself in the Bronx for two appearances. Two innings, five runs. Leroux hasn’t pitched in the big leagues since and he’s been out of baseball since 2016. David Hale was the 2018 Chris Leroux. I wonder who 2019’s Chris Leroux will be? Also from Martino, the Yankees haven’t had any talk with Rodney since one “very preliminary” discussion back in November. While the team is aware of its bullpen holes, a Major League source tells Martino that they lack the payroll flexibility to address the ‘pen after signing Masahiro Tanaka. The Yankees are hoping that Dellin Betances can serve as a power reliever, Martino adds. Geez, I don’t remember the Yankees being in on Fernando Rodney at all. He tends to make things interesting and I’ve always kinda hoped the Yankees would steer clear because of that. Rodney had that rebirth season with the Rays in 2012 (0.60 ERA and 2.13 FIP) and was again pretty good with Tampa in 2013 (3.38 ERA and 2.84 FIP). The Mariners gave him two years and $14M and hey, he saved 48 games with a 2.85 ERA (2.83 FIP) in 2014. Things have gone downhill a bit since then. Still pretty amazing 41-year-old Fernando Rodney was out there slinging 95 mph fastballs in 2018. May we all have that sort of longevity. 11:46am ET: It’s a complicated contract. Kikuchi gets three years and $43M, reports Jeff Passan. After that, the Mariners could retain him with a four-year club option worth $66M. If they do not, Kikuchi could enter free agency or exercise a one-year player option at $13M. The deal can max out at seven years and $109M. For release fee purposes, it’s a $56M guarantee, so the Mariners owe Seibu a $10.275M release fee (I think). 9:30am ET: According to multiple reports, Japanese left-hander Yusei Kikuchi has agreed to a four-year contract with the Mariners. 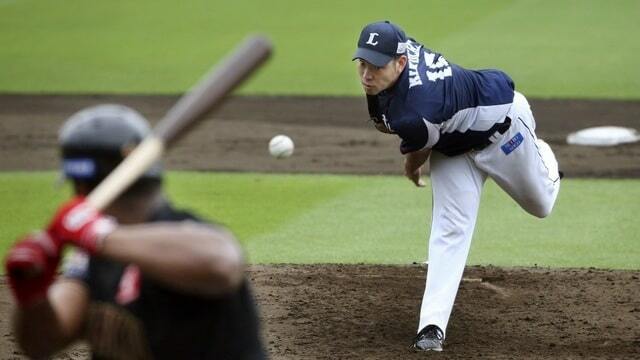 The Seibu Lions posted Kikuchi last month and his 30-day negotiating period was due to close at 5pm ET tomorrow. There’s no word on the money yet. My guess is the contract falls in the $60M neighborhood. We’ll see. Mariners GM Jerry Dipoto has ripped apart his roster this offseason, including trading James Paxton the Yankees. On the surface signing Kikuchi may not make much sense, but he is only 27, and he could be part of the team’s next contending core. Kikuchi helps advance the rebuild. How often do you get a chance to acquire a talented 27-year-old lefty? Exactly. The Mariners have a rich history with Japanese players (Ichiro Suzuki, Hisashi Iwakuma, Kenji Johjima, etc.) and Seattle has a large Japanese community, which I’m sure appealed to Kikuchi. Also, the Mariners will open the 2019 regular season with a two-game series against the Athletics in Tokyo, so that’s cool. Kikuchi could make his first start for the team in Japan. A few weeks ago Brian Cashman admitted he’d spoken to Scott Boras about Kikuchi and that the Yankees scouted the southpaw “extensively” last season. I get the sense the door on Kikuchi closed (if it were ever open to start with) once the Yankees re-signed J.A. Happ to round out the rotation. They probably weren’t going to spend big on another starting pitcher. The offseason shopping list remains unchanged for the Yankees. With the rotation settled, their largest remaining needs are bullpen help and a Didi Gregorius replacement. Manny Machado is expected to pick a team soon, and, if the Yankees manage to land him, a) it would be awesome, and b) I have to think it would affect their bullpen decisions to some degree. As expected, hot stove news has slowed to a crawl over the holidays. It’s been pretty quiet this last week or so and it’ll probably stay that way for another few days, at least until Yusei Kikuchi’s 30-day negotiating period expires Wednesday. The Yankees had interest in him at one point. The J.A. Happ signing may’ve changed things though. Anyway, here are the latest hot stove rumblings. According to Jon Heyman, the Yankees are focusing on the bullpen as they wait for Manny Machado to make his decision. Zach Britton, Adam Ottavino, and David Robertson are all in play and it is possible the Yankees could sign more than one top reliever. Part of me wonders if the Yankees will blow it out and spend a ton of money should they manage to sign Machado, leading to two reliever signings. Once they’re over the luxury tax threshold, might as well go all out, you know? Otherwise they might stick to the luxury tax threshold (again). Ottavino and especially Britton have been connected to the Yankees pretty much all offseason. Things have been oddly quiet with Robertson, however. There was that weird postseason shares story, which, if you’re a conspiracy theorist, could’ve been planted to turn fans on Robertson as the Yankees let him walk. Wouldn’t be the first time a team has done that. I don’t think that’s the case though. I very much prefer Robertson to literally every other free agent reliever on the market. Hopefully the two sides can hammer out a deal at some point. The Brewers and Padres remain involved in Sonny Gray trade talks, report Jon Morosi and AJ Cassavell. The Reds, meanwhile, are starting to fade out of the picture after adding Tanner Roark and Alex Wood in recent weeks. I guess Cincinnati doesn’t want to dip into their farm system again to acquire another one-year rental. Eleven teams were in on Gray earlier this offseason and the Yankees have since whittled that list down to the most serious trade suitors. I am surprised 2018 is just about over and Gray is still a Yankee. Chances are the Yankees are waiting until the right deal comes along — Spring Training is still six weeks away, so there’s no rush — though I suppose they could’ve decided to keep Sonny as a sixth starter/swingman, or that Brian Cashman’s public trade declarations have backfired. It seems to me the Yankees and Gray have reached the point of no return. He’ll be traded at some point. Maybe to the Brewers or Padres, or maybe somewhere else entirely. I’ll be surprised if Gray’s still a Yankee when pitchers and catchers report on February 13th. 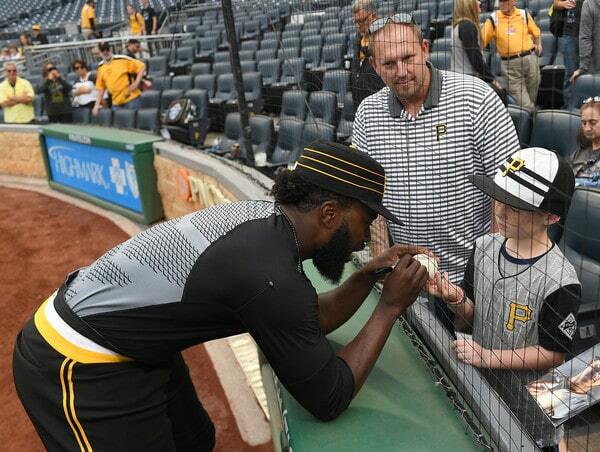 The Yankees are among the teams still “in play” for free agent infielder Josh Harrison, reports Heyman. He’s a popular guy, apparently. Heyman list both contenders (Brewers, Dodgers, Nationals, Phillies) and rebuilders (Giants, Rangers) among his suitors. The Yankees could use Harrison at second base before shifting him into a true utility role once Didi Gregorius returns from Tommy John surgery. Harrison, 31, hit .250/.293/.363 (78 wRC+) with eight homers and three steals in 97 games this past season. He’s a year removed from a .272/.339/.432 (104 wRC+) batting line — that was propped up by an uncharacteristic 23 hit-by-pitches though — and can play pretty much any position, which is not nothing. The Yankees have had trade interest in Harrison in the past too. There are better middle infield options on the board right now (Machado, Jed Lowrie, DJ LeMahieu, etc.) and my preference is going after those guys before settling for Harrison. Before he was traded to the Athletics, the Yankees had interest in Rangers infielder Jurickson Profar, reports Gerry Fraley. They weren’t willing to give up much to get him, apparently. Texas received four good but not great Double-A prospects plus international bonus money in the three-team trade. The A’s gave up an okay big league reliever (Emilio Pagan), a good Double-A prospect, international bonus money, and a Competitive Balance Round draft pick in the deal. Oakland won’t miss any of that. Profar, 25, hit .254/.335/.458 (108 wRC+) with 20 homers and ten steals this past season. Shoulder injuries wrecked his 2014-15 seasons and he finally started to look his old tippy top prospect self in 2018. Profar was the position player centerpiece of my 2018-19 Offseason Plan because I think he’s on the cusp of breaking out as one of the game’s best players. The Yankees have had interest in him in the past and I was hoping they’d make a run at him again this offseason. Alas. It didn’t really happen.